Celebrity and Oceania Cruises are different types of lines, but they actually have much in common. 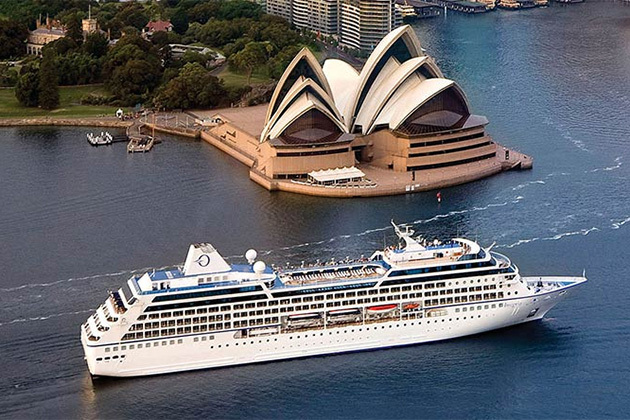 Celebrity is a more mainstream line with passenger counts in the 2,000 to 3,000 range, while Oceania is an ultra-premium line with smaller ships (684 to 1,250 passengers). Yet both have a focus on food, spa and wellness and destination exploration. So which line is right for you? Read on for our comparison of Oceania vs. Celebrity Cruises. 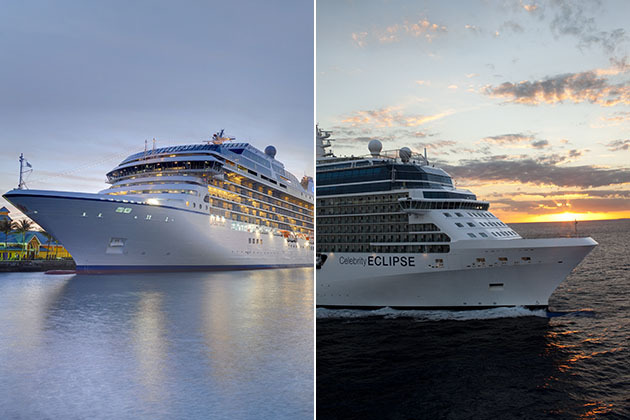 Celebrity has nine cruise ships in its fleet: four Millennium-class ships -- Celebrity Constellation (2,170 passengers), Infinity (2,170), Millennium (2,138) and Summit (2,158) -- and five Solstice-class ships -- Celebrity Eclipse (2,850 passengers), Equinox (2,850), Reflection (3,046), Silhouette (2,886) and Solstice (2,850). Oceania Cruises has six ships. Four R-class ships -- Insignia, Nautica , Regatta and Sirena -- all carry 684 passengers and began life sailing for the now-defunct Renaissance Cruises. Two O-class ships were built specifically for the cruise line: Marina and Riviera both carry 1,250 passengers. Comparing lines on price is difficult to do, as pricing varies by itinerary, sail date and ship. Oceania's and Celebrity's pick-your-perk promotions make it even trickier to compare, as both lines will sell the same cabin for different rates, based on perk inclusions. Celebrity's base fares include the "Go Better" perks (a choice of one or two perks from a list of four); however, pay more for the same cabin with "Go Best" fares to access all four perks. Oceania has two levels of fares; cruise-only fares are lower but are not eligible for free airfare or OLife Choice perks, while promotional fares are higher -- often by quite a lot -- and are eligible for additional inclusions. Choose Celebrity for cheaper fares. On comparable sailings, we found Celebrity generally to have lower fares. On the cruises we looked at, the Go Best prices for balcony cabins (which included free unlimited internet, Classic beverage package, tips and onboard credit) were still cheaper than the cruise-only, no-perks fares on Oceania for veranda staterooms. 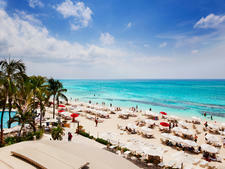 Choose Oceania for airfare-inclusive fares. Oceania's and Celebrity's ships span the globe, sailing to both common cruise destinations (Caribbean, Alaska, Europe) and more exotic locations (Asia, South America, Australia). You can find port-intensive itineraries and overnights in port on both lines, depending on the itinerary. Choose Celebrity if you want short cruises. 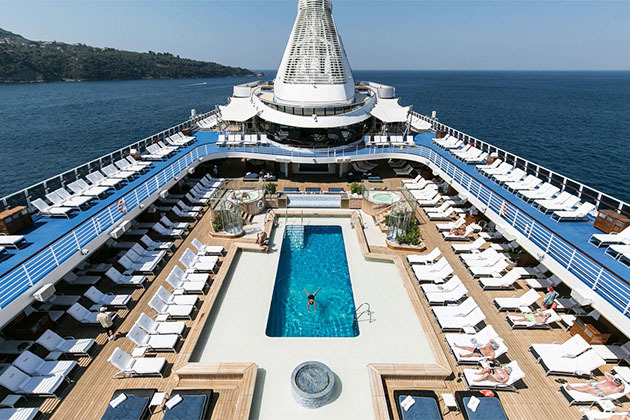 If you can't take more than a week off work, you'll have an easier time finding an itinerary to fit your schedule with Celebrity than Oceania. While Oceania focuses on 10-night and longer sailings, with a few weeklong cruises each year (mainly to the Caribbean and Alaska), Celebrity offers a range of two- to seven-night cruises, with super-short sailings to the Caribbean, Bahamas and even Alaska and weeklong options in Europe, the Pacific Coast, Bermuda and the South Pacific. Or if you're a North American looking for homeport cruising. Celebrity certainly offers exotic destinations, but it offers far more close-to-home sailings (for Americans and Canadians) than Oceania. If you don't want to fly across an ocean to get to your departure port, you can choose Celebrity voyages to Alaska, the Caribbean, Bahamas, Bermuda, Canada/New England, the Panama Canal and the Pacific Coast. Oceania does not have quite the range of choices from North American homeports. 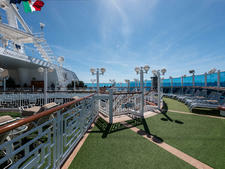 Choose Oceania if you want to sail on a world cruise. Oceania specializes in longer cruises -- in fact, its O-class ships were designed with 10-night and longer itineraries in mind. But if you're looking for something crazy long, every year Insignia sails a 180-day world cruise. That's half a year spent cruising to five or six continents' worth of ports, while someone else cooks, cleans and drives the boat. Or if you want to cruise to Cuba. Oceania, unlike Celebrity, is sailing to Cuba; its first visit to the island nation took place in winter 2017. The line offers both dedicated Cuba-only itineraries and Caribbean cruises that include one stop or more in Cuban ports in addition to other Caribbean destinations. If Cuba's on your bucket list, you'll want to choose Oceania to take you there. Both Oceania and Celebrity Cruises offer a range of cabin options, from more affordable windowless inside cabins to midrange balcony cabins to enormous suites. On both lines, suite residents receive extra perks and priorities. Choose Oceania is you want more choice of 1,000-plus-square-foot suites. If you're a high-end traveler, willing to splurge on apartment-sized suites, Oceania offers more options for humongous, 1,000-plus-square-foot accommodations. On O-class ships, 1,000-plus-square-foot Oceania Suites (one of the 10 best cruise ship suites) and 1,200- to 1,500-square-foot Vista Suites were designed by Dakota Jackson and feature separate living/dining and sleeping areas, plus walk-in closets, spacious bathrooms and wide verandas with outdoor whirlpool tubs and TVs. Oceania Suites have media rooms, while Vista Suites have private workout areas. The 2,000-square-foot Owner's Suites were designed by Ralph Lauren and offer multiple balconies and a grand piano. On R-class ships, Vista Suites are smaller (786 square feet), but still two rooms and six Owner's Suites are 1,000 square feet. 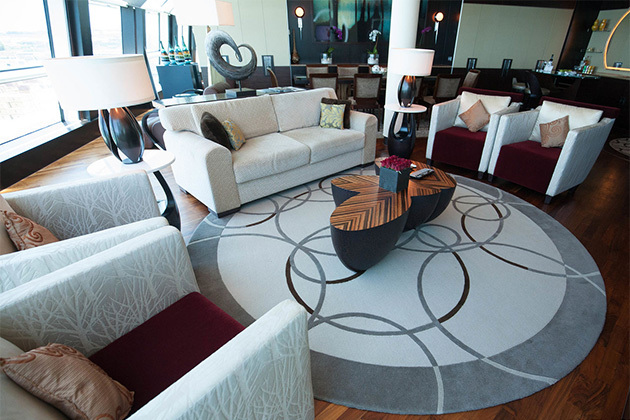 Celebrity ships also have beautiful and huge suites -- just not as many gigantic ones. The pinnacle might just be the Reflection Suite, with 1,636 square feet of space, two bedrooms and bathrooms and a glass shower cantilevered over the side of the ship. Or if you want fancier standard cabins. Celebrity's standard cabins are lovely, but Oceania -- being a class above -- offers a more luxurious basic accommodation. All ships offer incredibly comfortable beds with expensive bed linens and Bulgari toiletries. On O-class ships, you'll find marble bathrooms and separate tubs and showers -- as well as more space -- in ocean-view and balcony cabins. Choose Celebrity if you want specialty cabins (spa, family or connecting). Celebrity is a better choice for groups who want connecting cabins. Its ships have hundreds while Oceania's have just a handful. Plus, families who would prefer to have everyone in the same cabin rather than booking two connecting have the choice on Celebrity of dedicated family cabins. On Solstice-class ships, Family Veranda cabins are 575 square feet with separate bedrooms for kids and grown-ups. On Millennium-class ships, the family cabins are 271 square feet, with the master bedroom separated from the living area with pullout couches, and offer huge 242-square-foot balconies with loungers and a dining table. Oceania, a line catering to adults, does not offer family cabins. Spa lovers have much to enjoy on Oceania, whose spa is run by Canyon Ranch, but of the two cruise lines, only Celebrity offers dedicated spa cabins. AquaClass cabins and suites give residents extra perks such as complimentary and exclusive access to the Blu restaurant, free access to the Persian Garden thermal suite, a spa concierge and daily tea. Celebrity and Oceania are food-focused lines with multiple dining venues per ship. Celebrity teams up with Top Chef, while Oceania partners with famous French chef Jacques Pepin and Wine Spectator. Both lines offer extra-fee intimate wine-pairing dinners (Chef's Table on Celebrity, La Reserve on Oceania) and wine-tasting events. Specialty restaurants cover Italian, French and Asian cuisine, as well as steak, and both lines offer casual, healthy breakfast options (like smoothies) on the pool deck. Choose Celebrity for exclusive restaurants. You can book a huge Ralph Lauren designed suite on Oceania, but you still have to dine with the masses (that is, unless you want to order room service, which you can do from any restaurant onboard if you're in a suite). On Celebrity, AquaClass and suite passengers have access to exclusive restaurants that no one else can eat in. AquaClass residents get Blu, a spa-inspired venue, that's decorated in whites and bright blues and is open for all three meals. Luminae is the suite-only main dining room with a separate menu (plus the option to order from the regular MDR), an uncrowded feel and incredible service. If you want to feel like a VIP at meal times and are willing to pay for upper-end accommodations, Celebrity is your line. To compare, read about Celebrity Luminae vs. Celebrity Blu. Or if you like alfresco dining. Celebrity offers some unique alfresco dining options, whereas Oceania just has the traditional outdoor seating forward and aft of the buffet. On Celebrity Infinity, Millennium and Summit, the Rooftop Terrace hosts Taste of Film evenings, in which passengers pay a fee to watch a movie and snack on a seven-course tasting menu, with dishes inspired by the film. 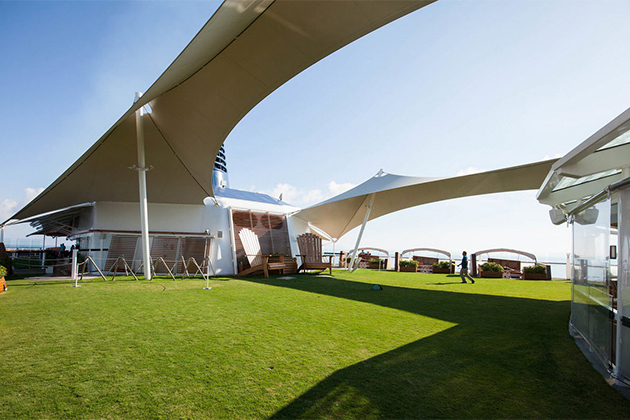 On Celebrity Silhouette and Reflection, passengers can choose from multiple outdoor, extra-fee dining spots on the Lawn Club. At the Lawn Club Grill, passengers can help grill their own meats or bake pizza for dinner -- or choose to let the chefs do the work for them. The Porch serves casual breakfast and lunch in a setting reminiscent of a garden cafe. Or if you really want the green-grass experience, you can order a picnic basket with wine and get comfy on a blanket on the lawn for your meal. Choose Oceania if you like fee-free dining. Celebrity's specialty restaurants all come with a surcharge, ranging from $25 to $50 per person, per meal. If you like dining variety, you'll be adding hundreds of dollars to your final bill. On Oceania, all the alternative venues are included in your base fare. If you want to try a different restaurant every night of your cruise, you can do so without paying a dime (unless you want to try the limited-guest wine-pairing dinner at La Reserve, where the extra fee is mainly for the alcohol). Or if you like afternoon tea. All cruise lines offer some version of afternoon tea, though sometimes it's more like a cup of Lipton and a cookie than proper English tea service. On Oceania, it's the real deal. Every afternoon from 4 to 5 p.m., a classical quartet plays as white-gloved waiters wheel around carts laden with cakes, finger sandwiches and sweet treats, or serve you a choice of scones with jam and clotted cream. 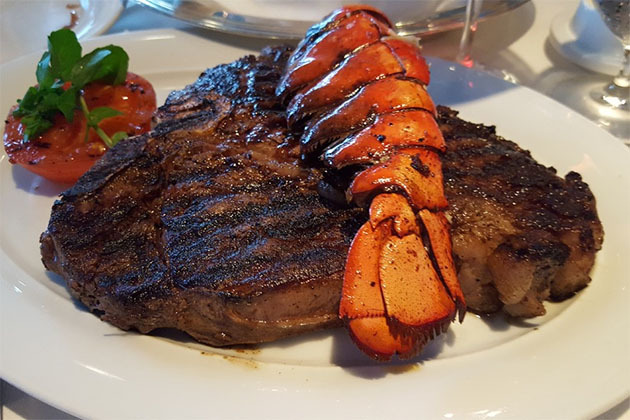 It's elegant, refined and oh so delicious. 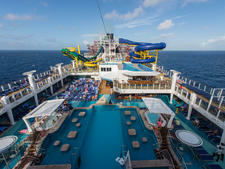 Both cruise lines offer entertainment options appropriate for their demographics, ship size and itineraries. 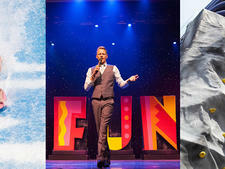 Choose Celebrity Cruises if you want entertainment choices and late-night options. With, two to three thousand passengers to keep occupied day and night, Celebrity provides a plethora of entertainment options, day and night. While Oceania can be a bit sleepy at night, with one show (occasionally with a second cabaret option) and a very small crowd willing to stay up late and dance, Celebrity's action can go until 1 or 2 a.m. 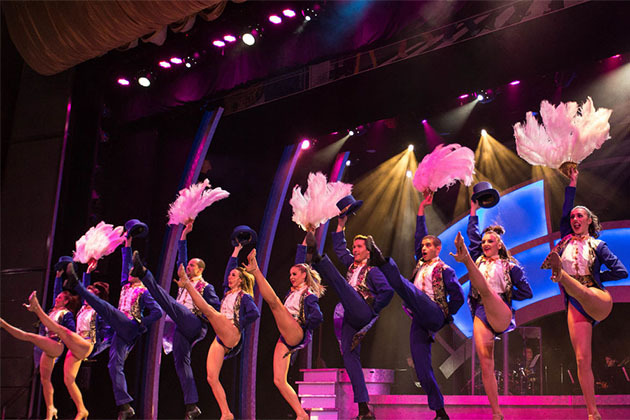 Choose from a disco, multiple bars (including the line's famous Martini Bar, serving cocktail flights), theme parties, two show times for the song-and-dance show or guest entertainer, outdoor movies, evening trivia, live music and casino play. Or if you're a beer or cocktail connoisseur. You'll find plenty of wine and wine tastings on both lines, but Celebrity also appeals to beer and cocktail connoisseurs with dedicated bars. (Oceania's bars are more general.) The World Class Bar on all Solstice-class ships is devoted to "fine drinking" and is sponsored by Diageo, owner of many well-known alcohol brands. Here, expert mixologists will create craft cocktails with interesting ingredients and unexpected flavors, and even lead cocktail-making classes. The Gastrobar on Celebrity Equinox and Eclipse offers more than 40 craft beers, and its beer sommeliers can recommend the perfect ale for you. Choose Oceania if you prefer enrichment-focused entertainment. Oceania isn't playing host to Broadway musicals, nor is it known for nightlife, but if you think learning is fun, it could be the line for you. Where the line excels is with enrichment-focused entertainment. Its O-class Culinary Center holds extra-fee cooking classes in a state-of-the-art kitchen workshop, with a demo area for the teacher chefs and individual workstations for participants. You'll learn cooking tips and techniques you can take home -- and you'll eat and drink a lot while you practice. In addition, the Artist Loft hosts working artists to lead passengers in onboard art classes in a variety of media -- all free of charge. The studio, also on O-class ships, is stocked with all kinds of art supplies, and you can take the teacher's lead or work on your own project. Finally, Oceania hires guest lecturers to speak on the destinations visited, and often the speakers are both engaging and informative. 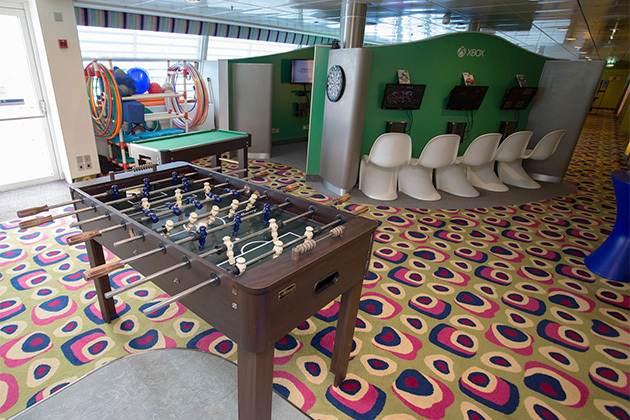 Children are welcome on both cruise lines, but only Celebrity really caters to families. 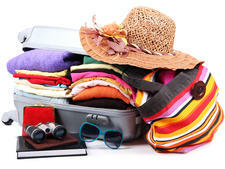 Choose Oceania if you are traveling with adults -- or self-sufficient children. Oceania is a grown-up ship that caters to adults (and, more specifically, older adults). There are no children's areas or activities, meals are long and start on the later side and activities are generally low-key. That said, many cabins can sleep three (with a pullout sofa), and children can enjoy the pool, mini-golf course and exploring in port. If you bring children on Oceania, they will need to be able to entertain themselves and handle a mature atmosphere. If bringing kids, we recommend booking one of the larger suites, which offer in-cabin dining from all the specialty restaurants, larger balconies and multiple TVs. In addition to the family suites and connecting cabins previously mentioned, Celebrity offers dedicated kids' and teen facilities with age-appropriate programming, in-cabin and group babysitting and teen activities, and options for kids with autism. Sports courts, video arcades, pools and the Lawn Club park area are favorite hangouts for families. While it's not as over-the-top family focused as sister line Royal Caribbean or Disney, Celebrity definitely will keep kids entertained and happy. Choose Celebrity for a wider range of price points; larger (but not too large) ships with a wide range of cabin types and entertainment options; and children's programming. Choose Oceania for small, adult-focused ships; an array of gourmet, fee-free dining options; and longer itineraries, including world cruises.